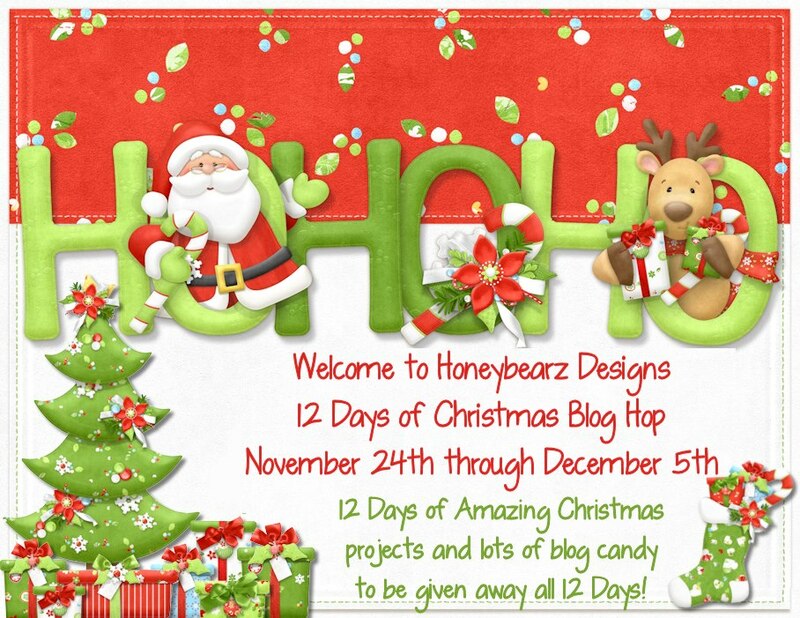 Today, I am a guest designer for Lisa's 12 Days of Christmas Blog Hop. This hop started on November 24th and today is the last day! There has been a blog hop each day with many talented crafters participating. If you haven't already, you may want to go back and visit some of the hops for some Christmas crafting inspiration. For more information, please visit Lisa's blog. 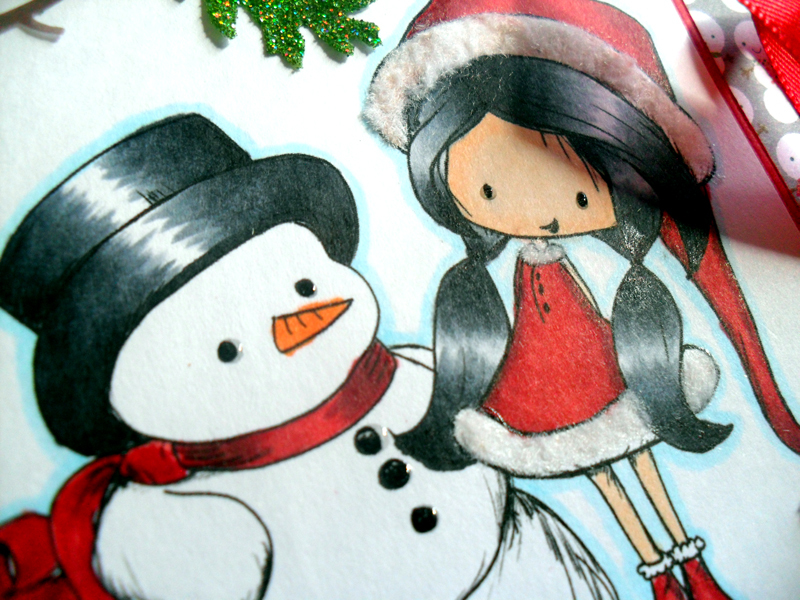 I created a Christmas card using an adorable digi from Tiddly Inks. I have a few favorite digital stamp companies, and Tiddly Inks is definitely one of them. I especially love this cute little gal named Wrynn. She is so adorable and easy to color! The sentiment is also from Tiddly Inks. I love the playful font! 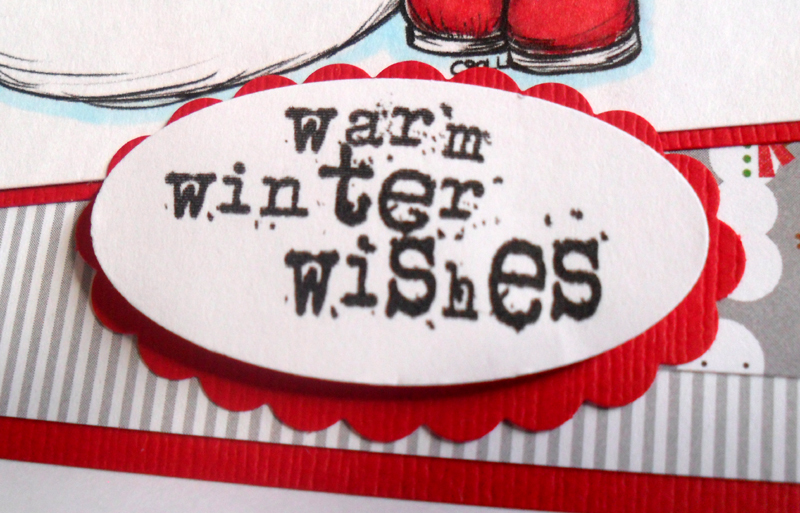 After printing, I used my oval and scallop oval punches to cut out the sentiment and matte. I used some 3-D foam squares to add dimension. The card was finished off with red ribbon, twine, and a sticker that I've had in my stash. wow fantastic coloring!! super card!! Awesome coloring! Love the card! Super cute card Dena. I love the beautiful cute image. Your coloring is amazing. I also love the sentiment and the ribbon/twine bow. TFS and for being part of the hop. Cute card!! LOVE the digi!! Very pretty card,love your coloring...MaryG. Wow, your coloring is awesome, love the image and sentiment as well. Your card is gorgeous!! Thanks so much for sharing. Very cute!! Even in the picture I could see the texture of the fun flock! It is so cute!! Beautiful job!! 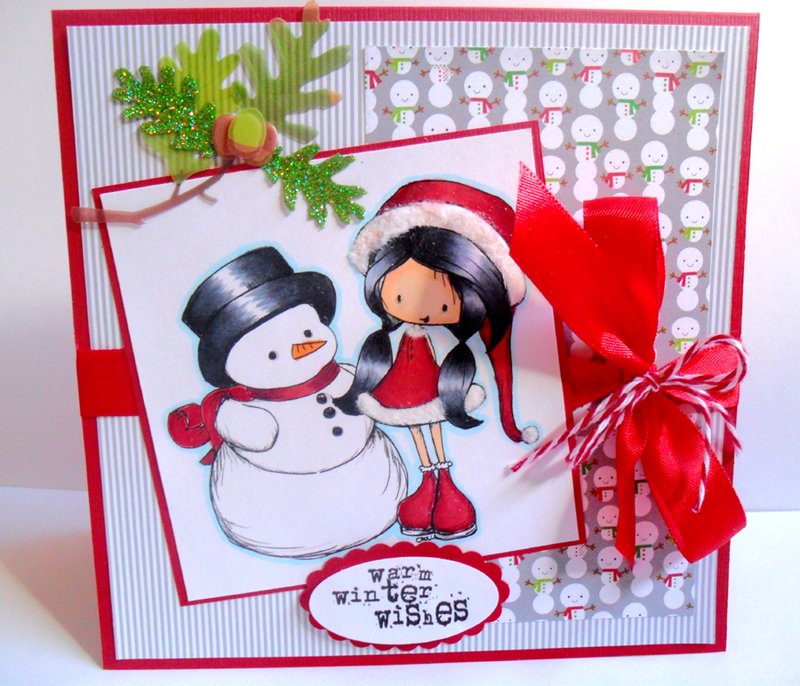 Beautiful card - love the layers, the snowman patterned paper and the images. Great job coloring. I follow you with Google friend connect.